In ISM I met Mr Nazareno Mario Ciccarello, CEO and CoFounder of the company Functional Gum s.r.l. in Italy, which were presenting their “DRIVE GUM”. I mentioned this product in a previous post, but now I can update the information. It is a chewing gum in form of coated dragees and presented in blister pack (with 10 pieces per pack). 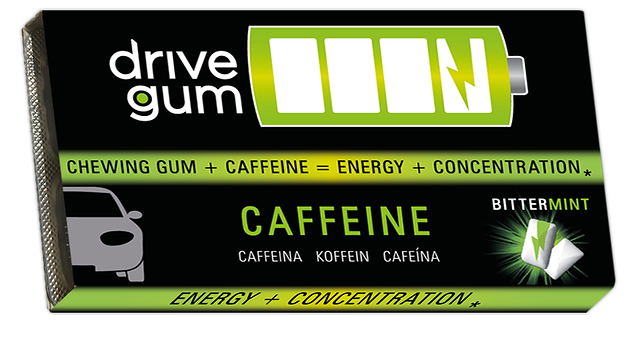 The gum contains caffeine and claims “Energy + concentration” due to the fact of combining the well-know effect of caffeine on the body and also the studies that show that the action of chewing also helps to improve alertness. It comes with mint flavour. Its retail price is from 1,99 to 2,50 Eur per pack. It is sugarer, gluten free and claims the reduced calorie intake compared energy drinks (which could have the same effect on alertness). The company also advertises the convenience of using chewing gum for this purpose and, I would add, in general as a vector to include a functional ingredient. As you know, I have a special interest on functional chewing gums. The industry is venturing more and more into this field (basically driven by juicy margins) and every time I get news about one of these products I like to share it with you.